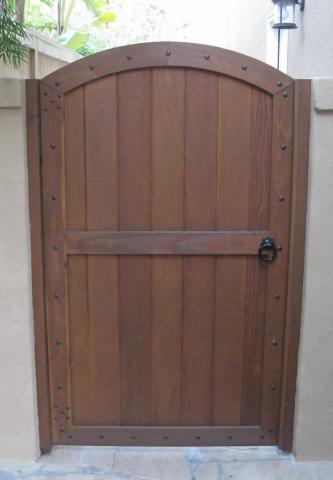 Welcome to sweetgates.com - your source for Quality Redwood Gates. 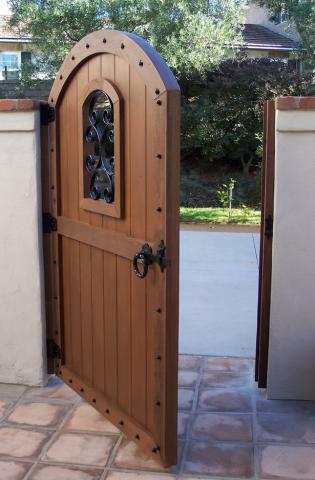 - Spaced Slat Gates provide a see-through effect which can be a lot, or just a little. - Gates without modesty. 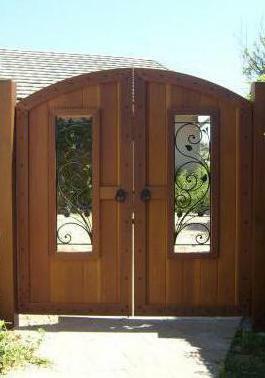 Solid Redwood or Mahogany construction make these gates worthy for any luxury property. - Organic looking designs. 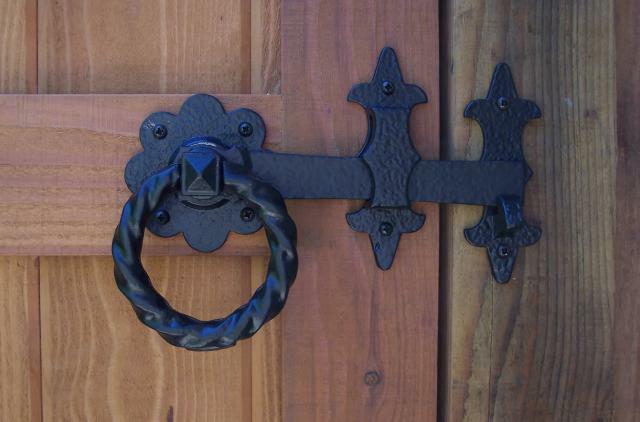 Wrought iron, carved wood panels, leaded or blasted glass panels. Designs without boundaries. 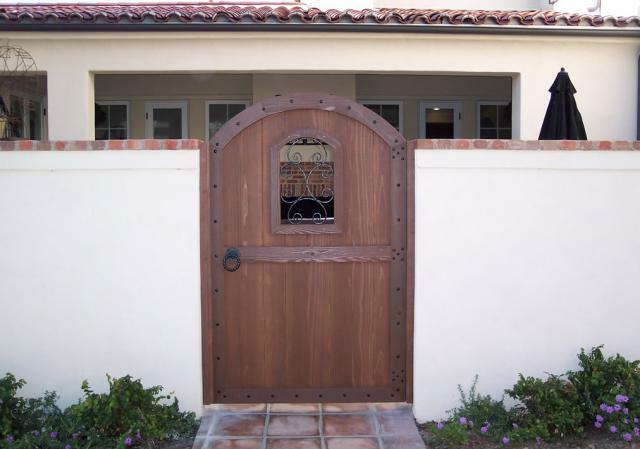 Take a drive through Laguna Beach and you will see the types of gates I am referring to. 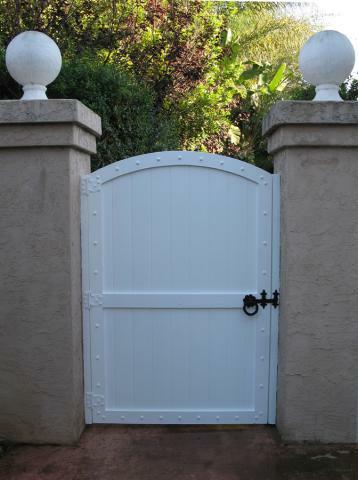 - Your gates are a presentation of your property... the entrance gate is oftentimes the first impression. 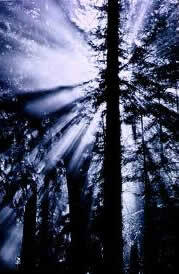 - If you can visualize it then it can be built. * Finished in the color of your choice. 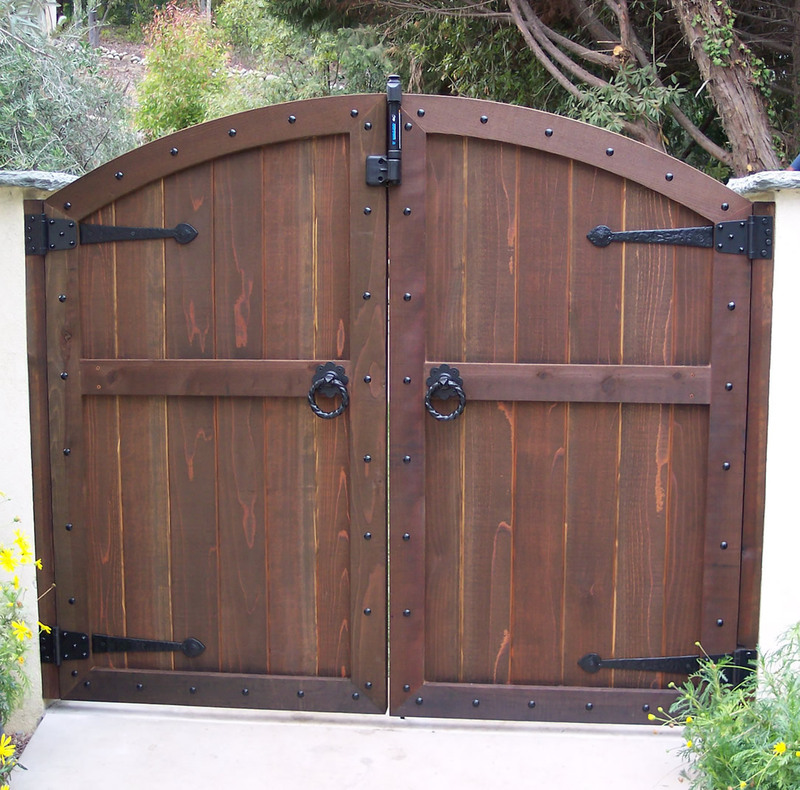 Premium Redwood Split Gates are for wider openings. 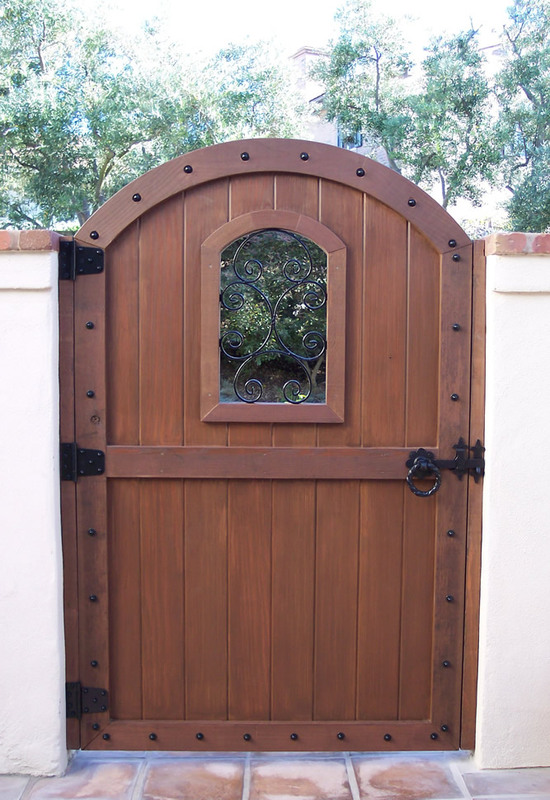 Gate Options include; latches, locks, portholes with Italian wrought iron, porthole doors, matching wood jambs, more pronounced arches, unique band designs, lighting, arbors, pool code compliance, and more. 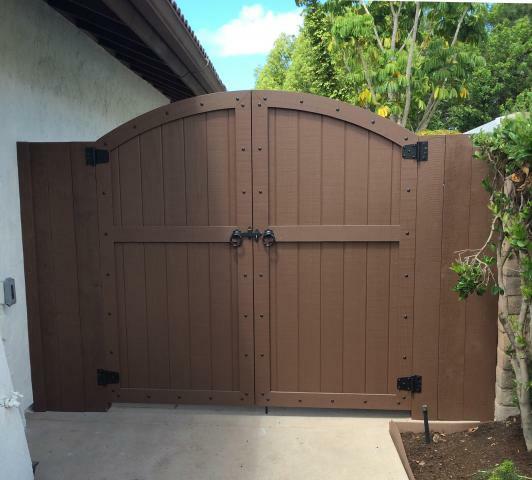 Why Buy a Gate From Sweetgates.com? 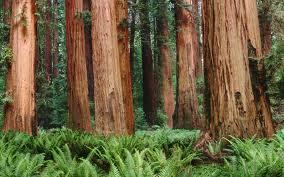 Premium Redwood CS; are cost saving Premium Redwood Gates. 1) Solid engineering. 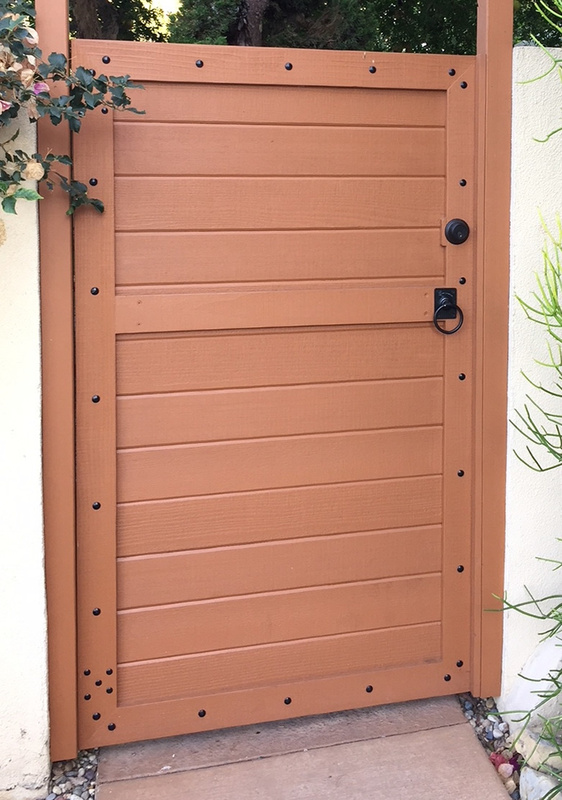 13 years of time honored design has shown that the gates do not sag or warp. 2) Handmade. Very high quality. - Finished with your choice of stain. 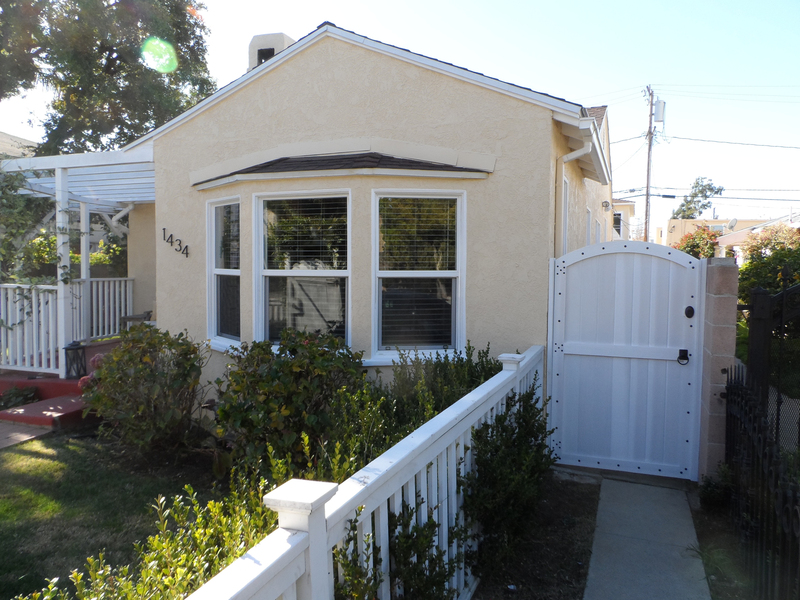 - Hinges are mounted on gate. 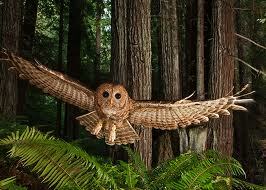 5) Personal customer service. 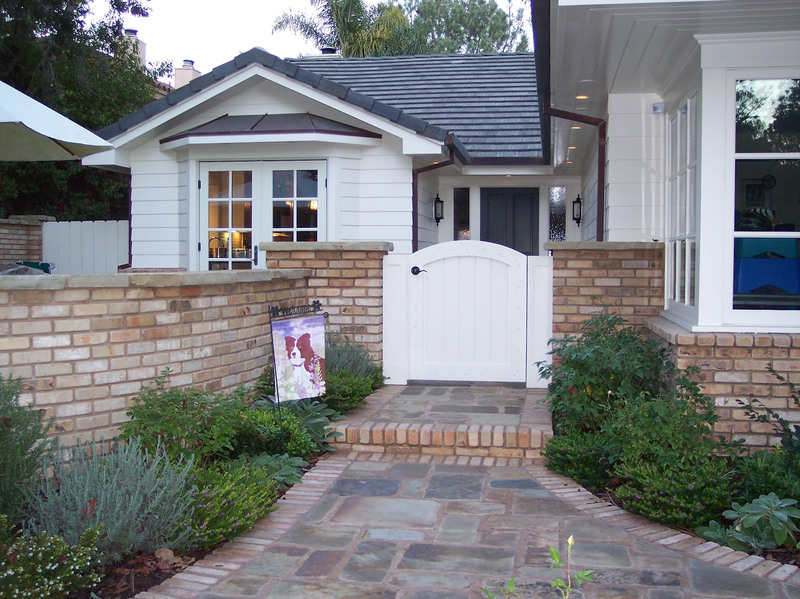 Talk to the gate builder instead of a salesman. 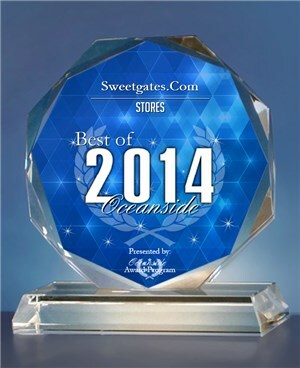 I invite you to compare these gates with other brands, and am confident that you will find great value at sweetgates.com. Please let me know how I can help you with your gates. Custom sized to fit just right.